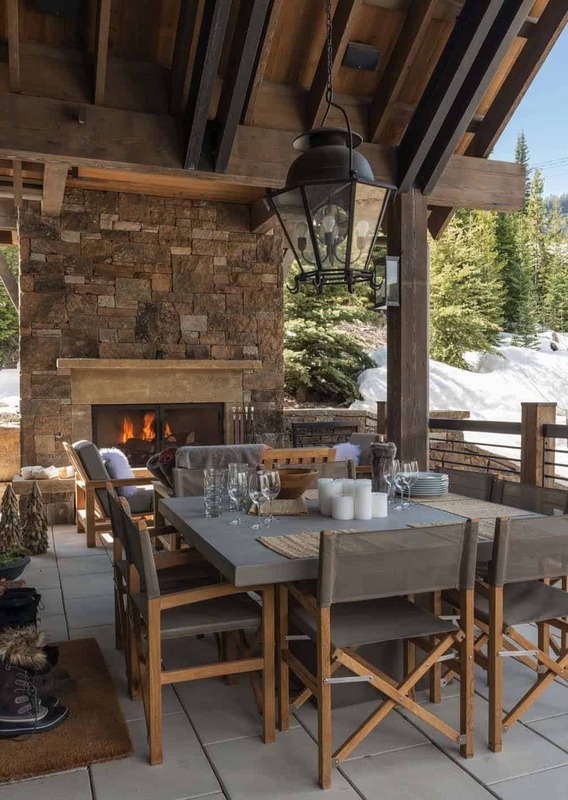 This ski-in, ski-out out mountain chalet is a family home for designer Tracey Byrne, who commissioned Locati Architects to design this home nestled in the luxurious Yellowstone Club in Big Sky, Montana. 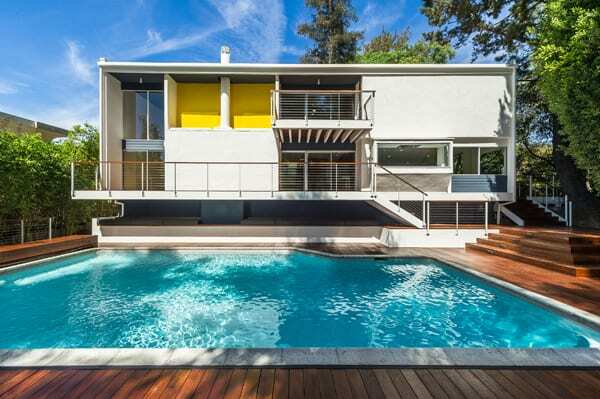 Comprised of 7,300 square feet of sumptuous living space, this cozy and welcoming home accomodates six spacious bedrooms for the family of five to enjoy during the winter season. She selected comfortable furnishings that are plush and highly textured, creating warmth for the chilly winter season. 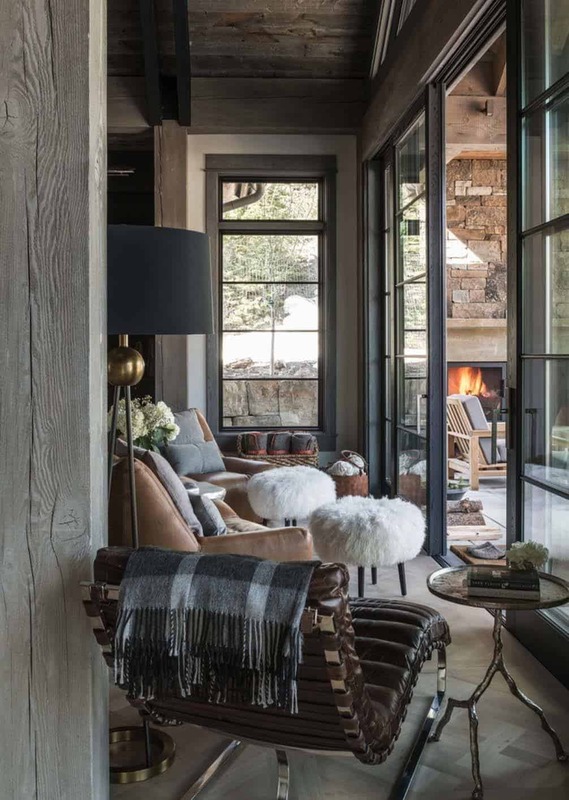 An organic color palette features neutral hues of white, gray, cream and brown, which helps to meld the interiors with the surrounding exterior environment. The goal for the design of the chalet was to infuse it with the warmth and feel the indigenous landscape yet be modern and sophisticated. 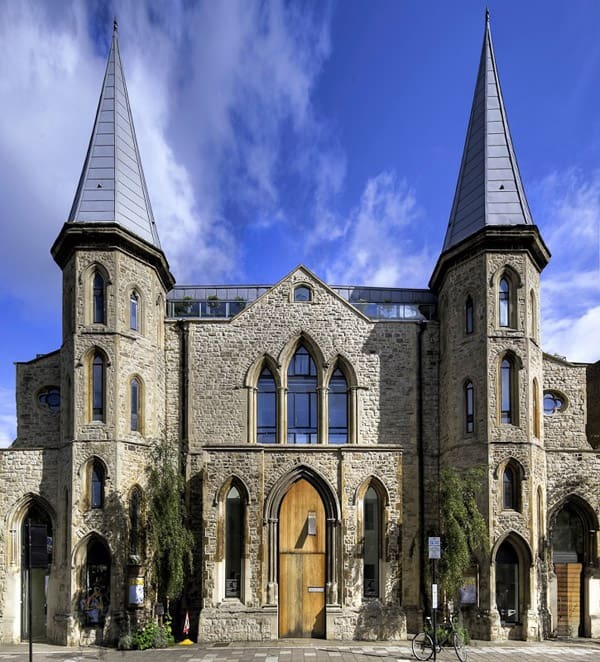 The interiors are spread out over three layers, featuring tall ceilings, expansive windows that illuminates the spaces with natural light and a centrally located staircase to provide easy access between levels. The main level offers an open plan living, dining and kitchen area, with an outdoor living space that is accessed through french doors to be enjoyed throughout the seasons. There is also a bunkroom and a more private family room to give the family plenty of space to enjoy together and individual time. The kitchen nook faces the slopes and its built-in seating is extra plush to enjoy relaxing time with a cup of coffee. 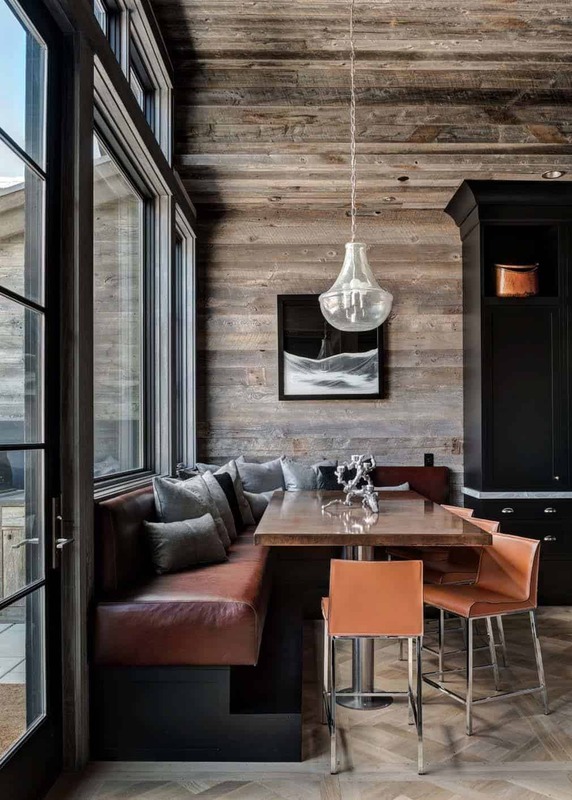 Blending rustic and modern materials throughout the home, one common element that you will notice is the reclaimed snow fencing that clad most of the chalet’s walls and ceilings. The spacious kitchen features two islands, where the designer enjoys cooking meals for her family—and as a former professional baker, she really knows her way around the kitchen! 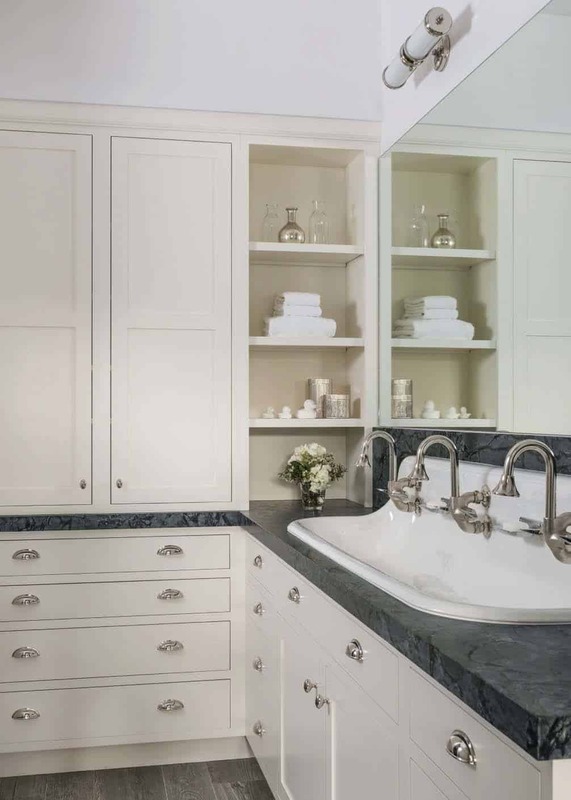 She selected honed gray marble countertops and even though they are pervious to stains, this was not a concern, instead it was seen as adding character. 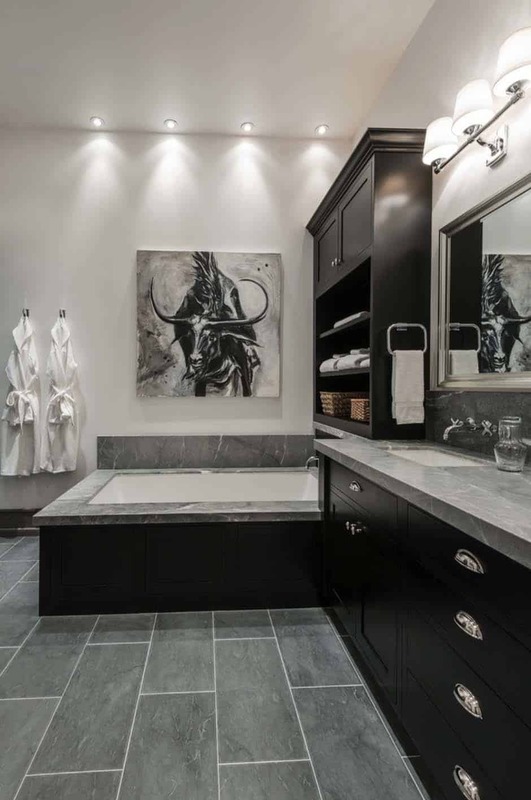 The black matte custom cabinetry provides a nice contrast to the countertops. 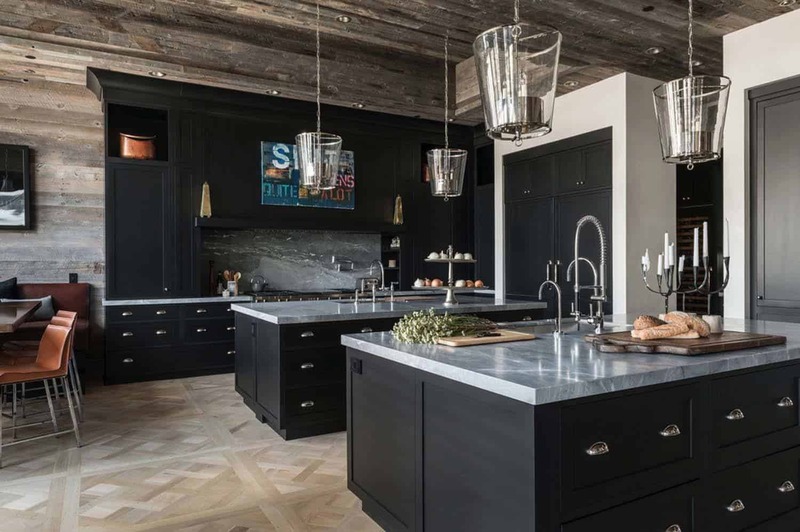 The flooring material that you see traversing through the main living area is white oak in a subtle pattern mimicked from a floor panel design that the designer found at a flea market in Paris. 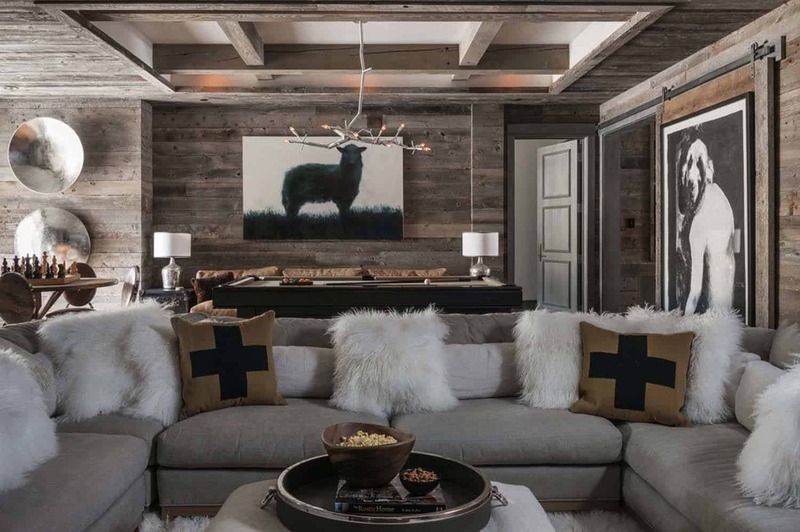 In the living room, over-sized sofas offer lots of pillows for added comfort after a long day on the slopes! 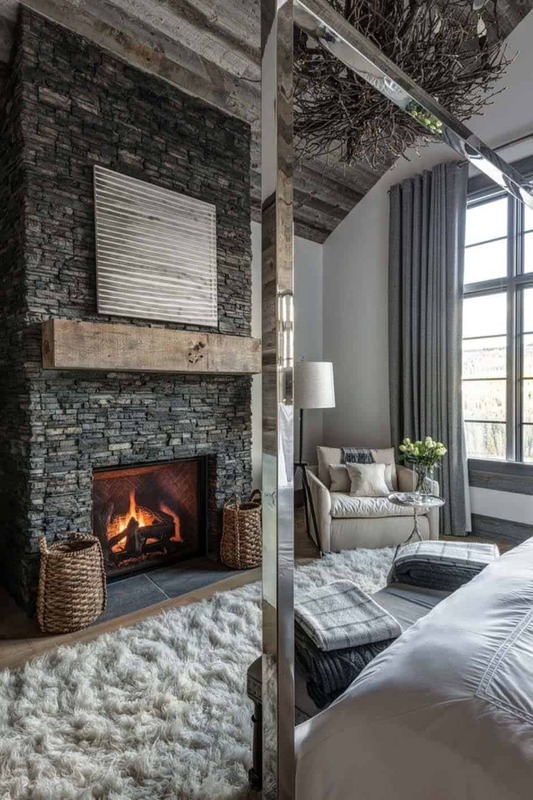 The fireplace surround is clad in a stone veneer in tones of gray and black. Dramatic chandeliers suspended from the ceiling is what the designer references as her signature trademark. 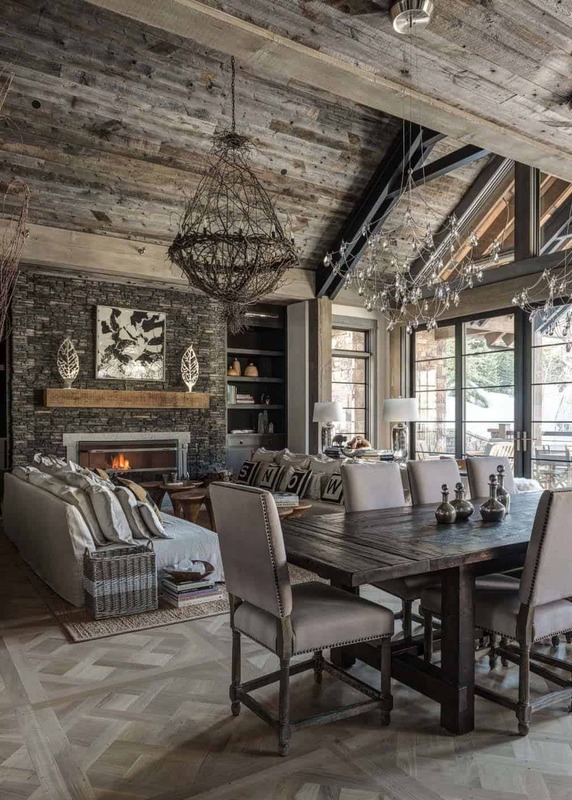 Most notably, the handcrafted twig chandelier is her favorite, sourced from Wish Designs. 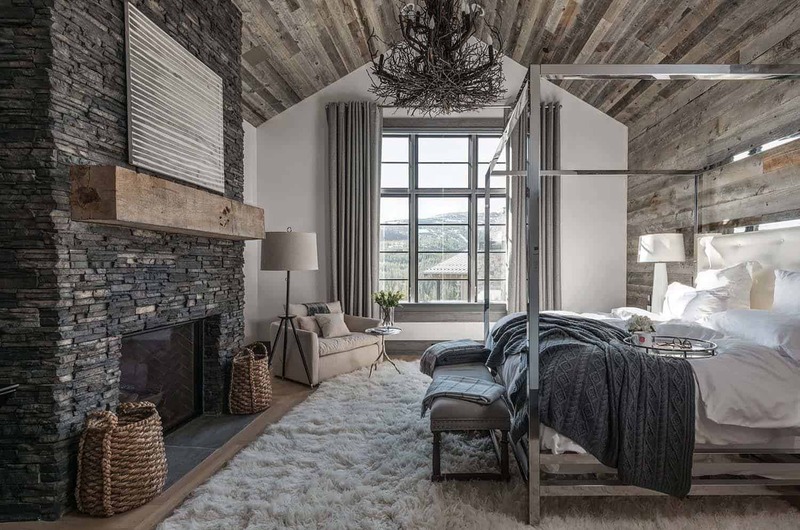 We have to agree, they are amazing… and a nice alternative to the characteristic antler chandeliers that lots of mountain homes feature. What do you think? 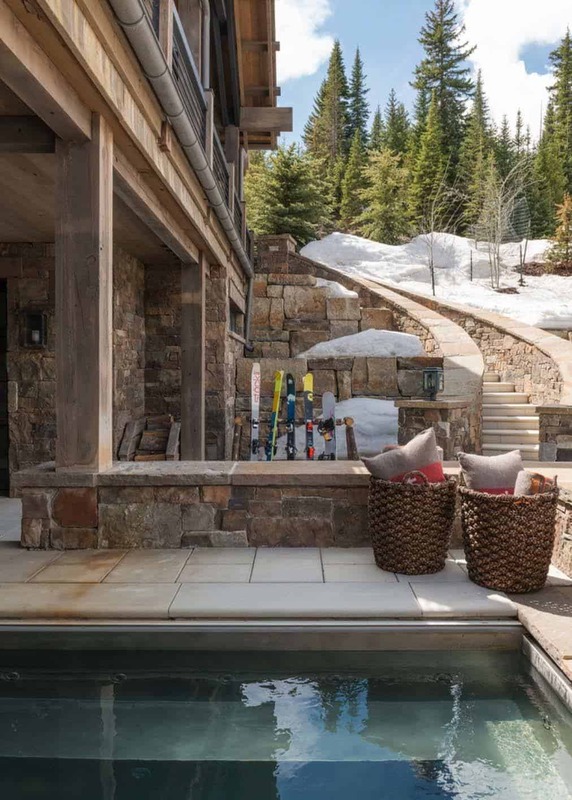 What We Love: Living on a mountain where you can access the slopes from your home is a pretty fantastic feature… but the home itself is also spectacular. 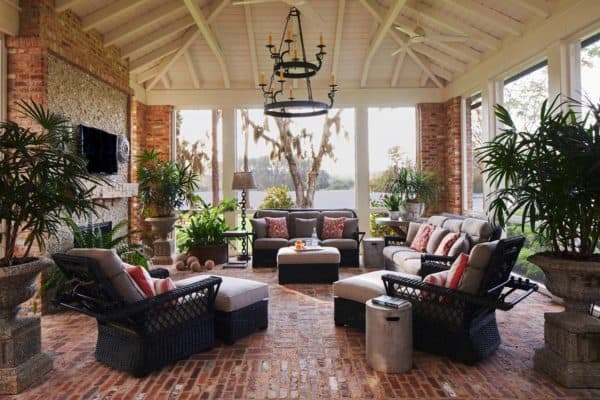 From cozy living spaces to a beautiful fireplace that invites you to snuggle up in front of it to the amazing light fixtures hanging from the ceiling. 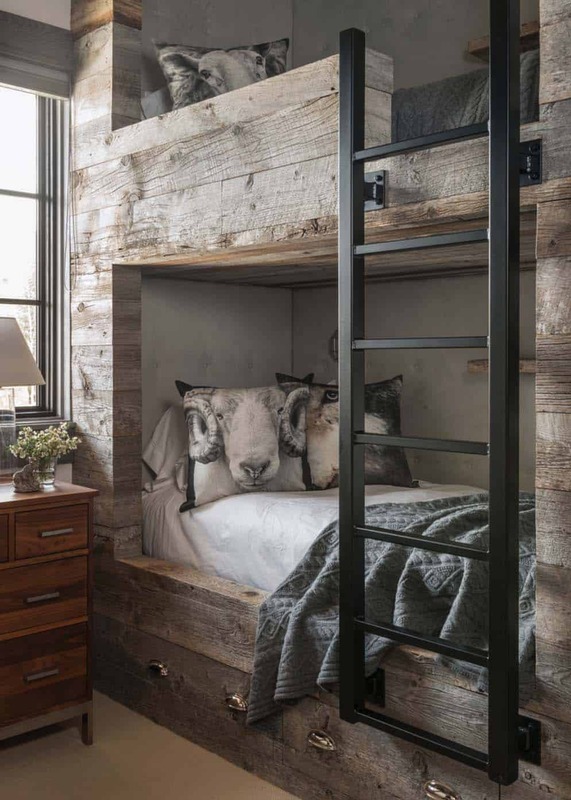 Another modern-rustic mountain chalet that we are crushing on… how about you? 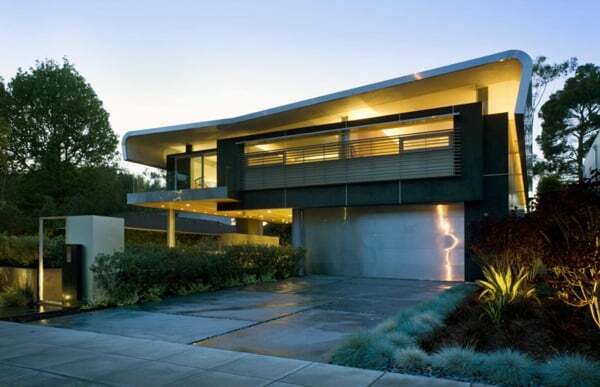 Want more mountain homes designed by the talented Locati Architects? 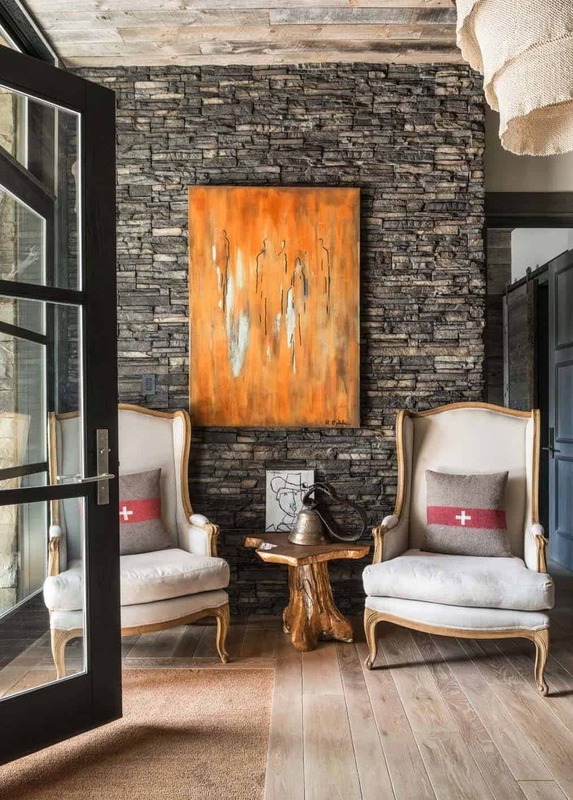 Have a look at our most popular features, Chimney Rock Residence: Lakeside retreat built for entertaining and this incredibly Sumptuous Montana retreat featuring cozy rustic-modern.